At Agency 545 (internal agency inside of Blackbaud) we were tasked with creating an interactive infographic that could serve as a micro-site for Blackbaud’s K–12 solutions. 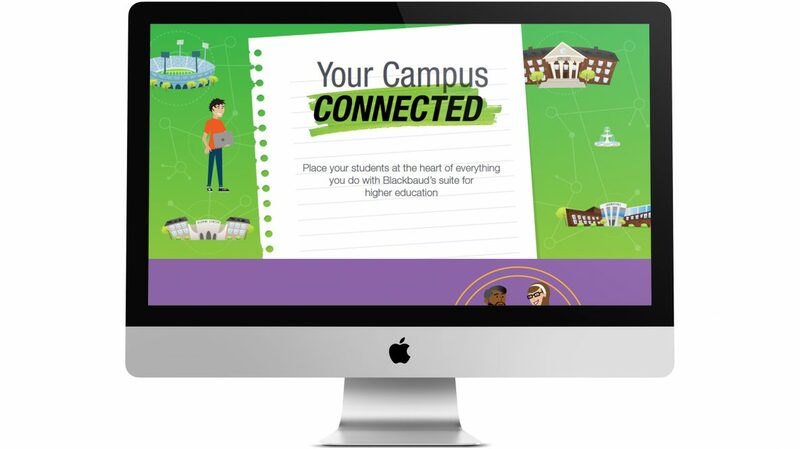 The goal of the infographic was to educate our customers and prospects about Blackbaud’s total school solution which includes software for fundraising, accounting, alumni management, classroom management, and web design. We designed the interactive infographic using a “campus tour” theme in order to show that our solutions connect the many departments of higher education institutions and provide a holistic view. Within the infographic, we included links to multiple resources, including eBooks, product tours, and white papers.